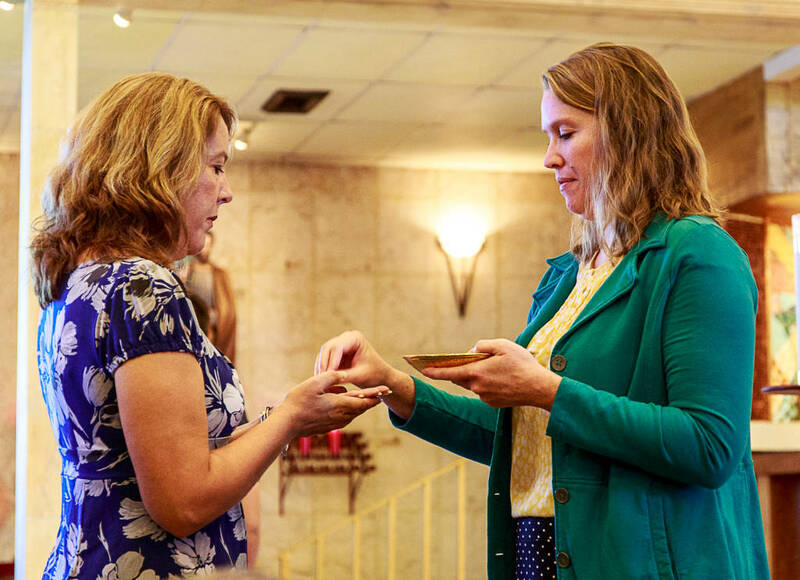 With the Pastor’s approval, a Minister of Holy Communion receives Diocesan training (a three-hour session). Two year mandates are issued from the Bishop’s office. Ministers are scheduled to serve at Mass once or twice a month. Parish in-house training is also required and quarterly meetings are held during the liturgical year. The Ministry of Hospitality (Ushers & Greeters) is a wonderful way to become further involved in your parish. Activities include greeting parishioners and visitors before Mass, helping with the collection, and distributing bulletins after Mass. Each of our Masses could greatly use your assistance. Never underestimate the power of a simple smile or handshake, which greets our parishioners, guests, or even a visitor to our parish. No formal training is required, just a willingness to help. The Ministry of Hospitality is open to all; even the entire family can become involved. If you are interested, please see an usher at any of our Masses or contact the Parish office. As described by the Bishops’ Committee on the Liturgy, “Among the many signs and symbols used by the Church to celebrate its faith, music is of preeminent importance… The quality of joy and enthusiasm which music adds to community worship cannot be gained in any other way.” They continue that music “can unveil a dimension of meaning and feeling, a communication of ideas and intuitions which words alone cannot yield.” As Music Ministers, we have an awesome responsibility to help our community worship in spirit and truth. While we’re at it, we can also experience tremendous joy and enthusiasm ourselves! As your Music Director, I relish my role as “seeker and developer” of talent here at St. Brendan Church. 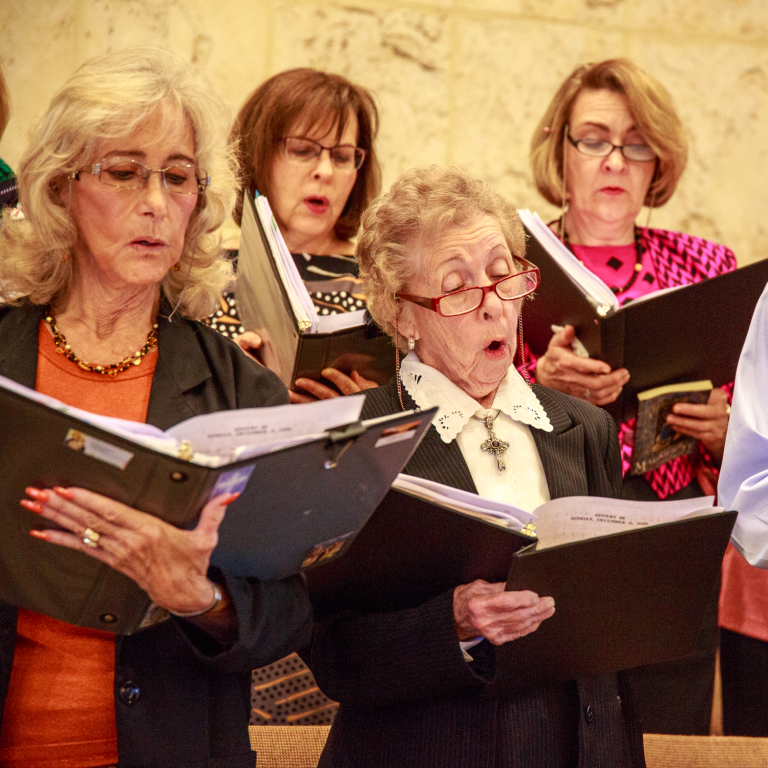 If you are interested in joining the choir, please attend one of our practices, which are held every Wednesday night at 6:30 p.m.
A reader reflects on the Sunday scriptures and proclaims the scriptures at Mass once or twice a month. This ministry is open to all those who are fully initiated (baptized, confirmed, and received their First Communion). 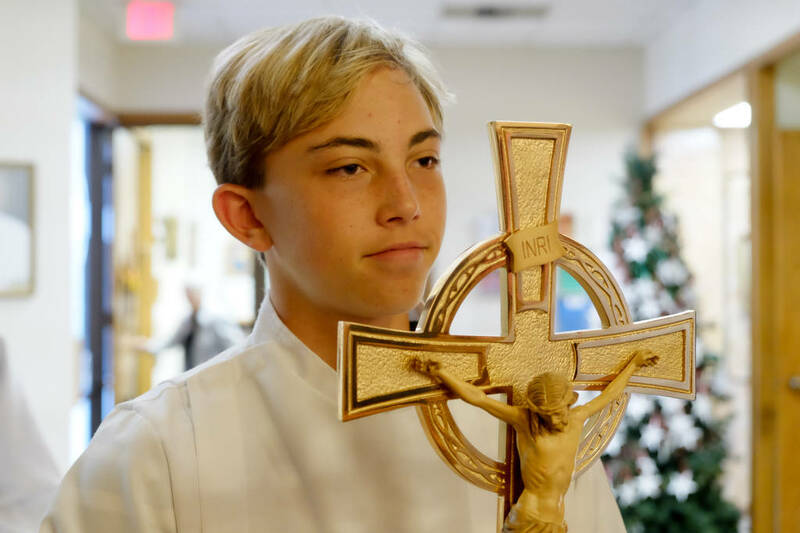 Students are eligible to become Altar Servers during their 4th grade year. Mr. Harry Bence is in charge of training and scheduling the servers.